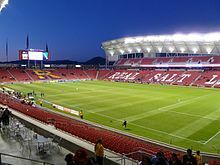 This Salt Lake City suburb is the sixth-largest city in Utah, offering its residents everything from shopping and dining to hiking and the Real Salt Lake Rio Tinto Stadium. With the advantages of the TRAX light rail system, Sandy City residents are able to easily commute around the valley, and specifically into Downtown Salt Lake. 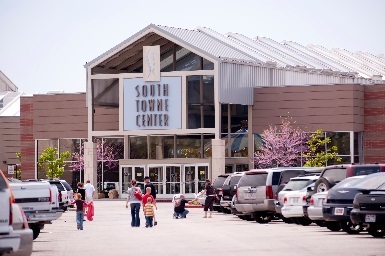 Home of the South Towne Center, Sandy offers its residents an array of shopping choices, from Macy’s to Forever21, and REI to DSW Shoes. In addition, you can find well-known quick eats such as Chick-Fil-A, Chipotle, and Five Guys Burgers, to quaint restaurants such as Tiburon Fine Dining. There will rarely be a day that you need to travel outside the city limits, however, if you can’t find what you are looking for in Sandy, you can find it nearby. Not only does Sandy City have some of the best parks and hiking trails around, but the centrally located Sandy Amphitheater offers residents and guests summer entertainment right in Sandy’s backyard. Golfers will be excited to know that there are three golf courses in Sandy city limits, with two additional courses nearby. But wait, Sandy has not forgotten about bike riders. There are plenty of trails for bicyclists and avid walkers as well. There are eighteen elementary schools, six junior high schools and four high schools that Sandy City students report to in the Canyons School District. For those interested in private education, the well-known Waterford School is located in Sandy, along with Juan Diego just a short drive away in Draper. In addition, the University of Utah is about a 25-minute drive away, or residents can take advantage of the TRAX Light Rail in their commute. 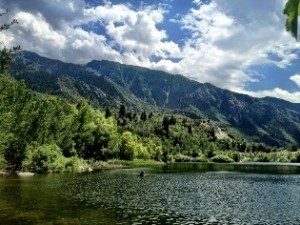 Other local higher education schools include Salt Lake Community College, the LDS Business College, and about a 35-minute drive away is Utah Valley University.